It can be a challenge allocating limited resources to focus on the right areas for healthcare improvement. The time and effort required for comprehensive infection surveillance makes it hard to be pro-active. A streamlined approach with real-time data can allow valuable staff resources to be reinvested into prevention and education. Healthcare facilities want to unlock greater value from their infection control data in a way that is manageable, meaningful and actionable to deliver better outcomes that matter to patients. 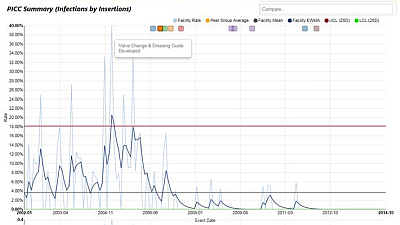 Analyse a wide range of real-time performance measures to provide visibility into infection control processes & patient outcomes. 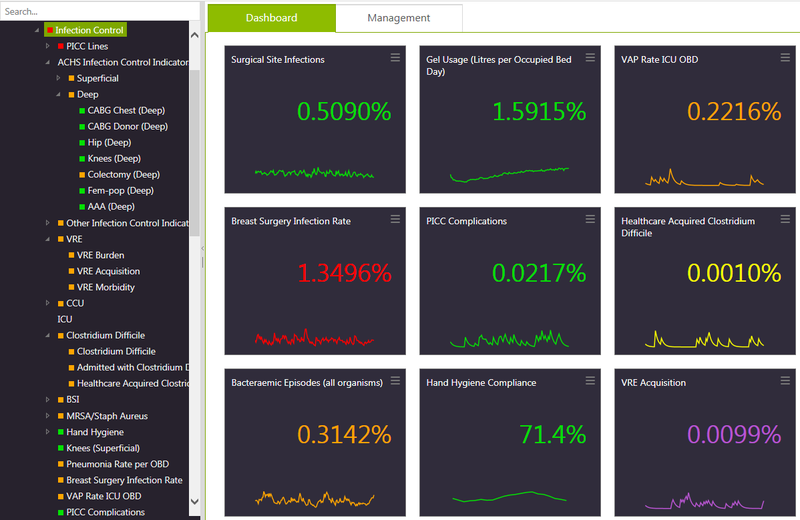 Easily view the entire infection governance framework to see status-at-a glance and drill down to details using statistical process control charts. Choose from an extensive library of pre-defined infection control process and outcome indicators. Deliver manageable and meaningful data to those most able to make a difference. Explore Data in a highly visual and interactive environment to unlock hidden patterns and insights. Analyse variation and detect issues as they arise with Statisitcal Process Control Charts (SPCC). Capture the stories behind improvements and focus on clusters of issues where greatest improvements are possible.